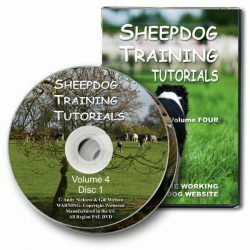 At the end of Glyn Jones’ programme introducing sheepdog training, Come Bye! And Away!, Glyn’s trainee sheepdog Lad, had learned the four basic commands and could perform straightforward tasks such as the drive. In this sequel, Glyn Jones demonstrates how he teaches Lad more specific commands, then reduces command contact. Jimmy, seen as a pup in the first video, is now put through his paces, learning to control sheep in a detailed way over a wide area. Glyn Jones is an international Supreme Champion Trialist and three times winner of the One Man and His Dog brace championships. 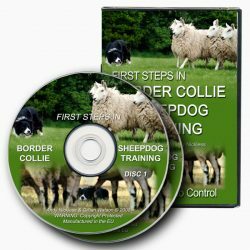 His training book, A Way of Life: Sheepdog Training, Handling and Trialling, has proved outstandingly popular. “That’ll Do!” is the second of three DVDs by H Glyn Jones. The other titles are: “Come Bye! and Away!” and “Take Time!”. This DVD is PAL format – all regions – it will also play on an inexpensive Multi Region DVD Player or DVD enabled computer anywhere in the world.